Formation of binary and ternary complexes of some transition metal ions (M+2=Cu+2, Co+2, and Ni+2) with some selected aromatic hydroxamic acids (benzohydroxamic acid and salicylhydroxamic acid) and some biologically relevant aliphatic carboxylic acids (succinic acid,maleic acid, and tartaric acid) or dipicolinic acid was studied pHmetrically at 25°C and I=0.1mol dm-3NaNO3 in aqueous solution. The acid-base properties of ligandswere investigated and discussed. The formation of the different 1:1, and 1:1:1 ternary complexes is inferred from the corresponding titration curves. The ternary complexes are formed in a stepwise mechanism. The stability constants of the binary and ternary systems were evaluated. The order of stability of the ternary complexes in terms of the nature of hydroxamic acid, aliphatic carboxylic acid, and dipicolinic acid is investigated and discussed. 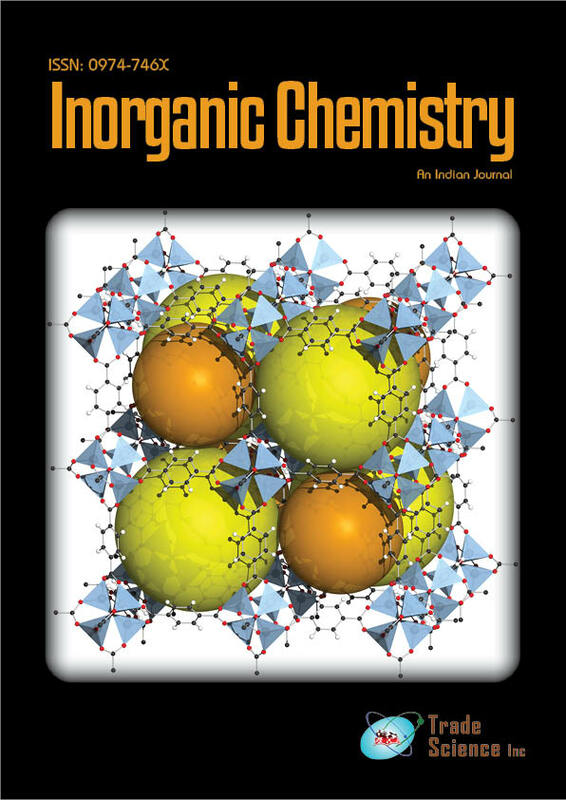 The stability of the ternary complexes is also discussed in relative to that of the binary complexes of secondary ligands.